"#Mentor" Kick start the year with a hit song he titled "Your Love" , on this he featured the Zanku legwork Master, #Zlatan. Mentor-Adewale is an undergraduate of Lautech is set to ligh up the Nigerian music industry. 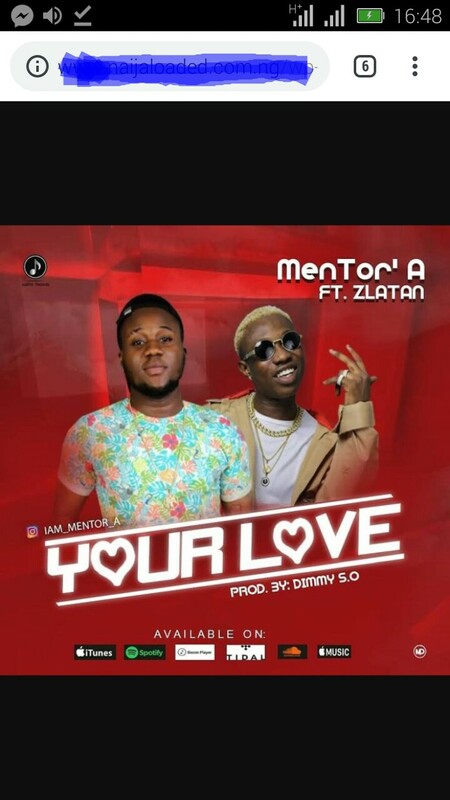 Download "Your Love" by Mentor featuring Zlatan.